I started out by checking the ocean shore at Clover Point. While there was nothing unusual to be seen, a couple of close Heerman’s Gulls are always a good consolation. 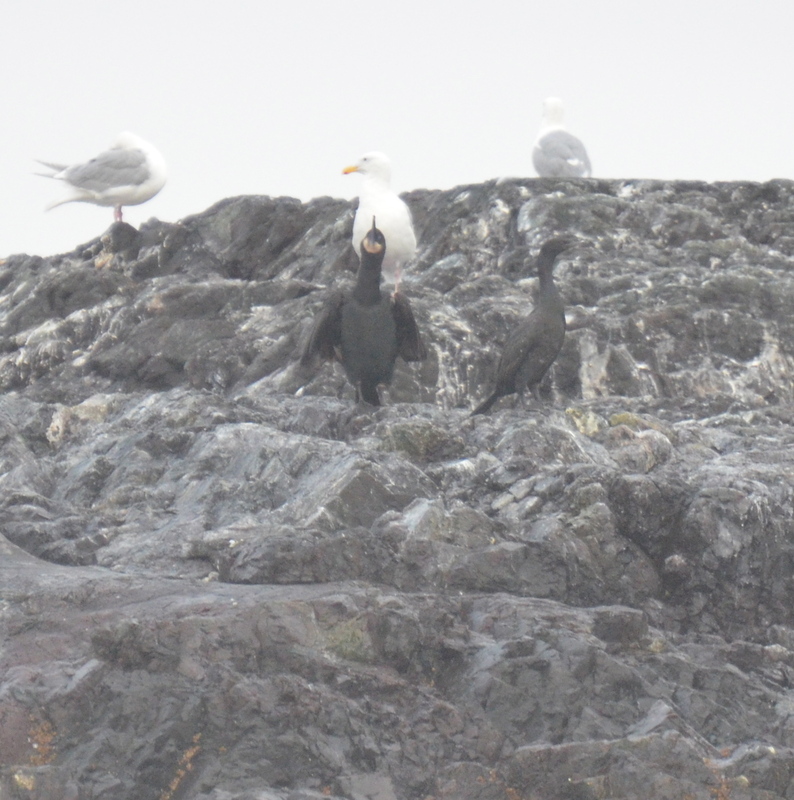 My hope was that I would be able to find a Brown Pelican, but some light fog made viewing conditions of the small rocky islands offshore difficult. I did have a small flock of Plover sp. sitting on some rocks, but they were too far away to identify. 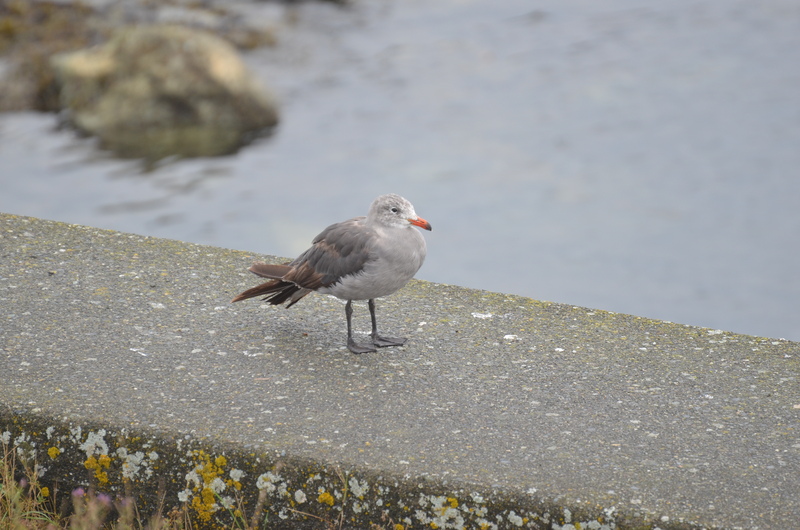 Heerman’s Gull – always nice to watch! My next stop was Mount Douglas, where I was hoping to find some woodland species. A walk on some of the trails around the base of the park turned up nothing new, nor did a drive to the summit. The views of the city from the top are definitely worth the drive up. My next stop was Swan Lake Nature Sanctuary. I have visited this great spot in the city a few times, and added several birds to my year list when I visited in the winter. It was a nice warm sunny afternoon, so I was hoping to run into some fall migrants. Part way around the trails I discovered my camera battery had died. Great. Had it been working I would have had great photos of Chestnut-backed Chickadees and Bewick’s Wrens, but it wasn’t to be. As I neared the end of my walk, feeling panicked by my lack of year bird additions I heard a chip. Then I heard it again. Then I saw a flurry of movement. Then it popped into view. BLACK-THROATED GREY WARBLER! Year bird! And with no camera, despite it being on bare branches mere feet away from me. Then I had a rare moment of brilliance, just take a picture with my BlackBerry. Thankfully the bird obliged, and I was able to get a few decent pictures. It was a great way to end my walk! A quick visit to Esquimalt Lagoon didn’t produce anything new, so I headed up to Sidney to pick up my friend and headed to the ferry for Vancouver. Then it was time to head home! I have been making good time, and have added 2 new species. I finally tracked down a CLARK’S GREBE in the Salmon Arm Western Grebe flock. 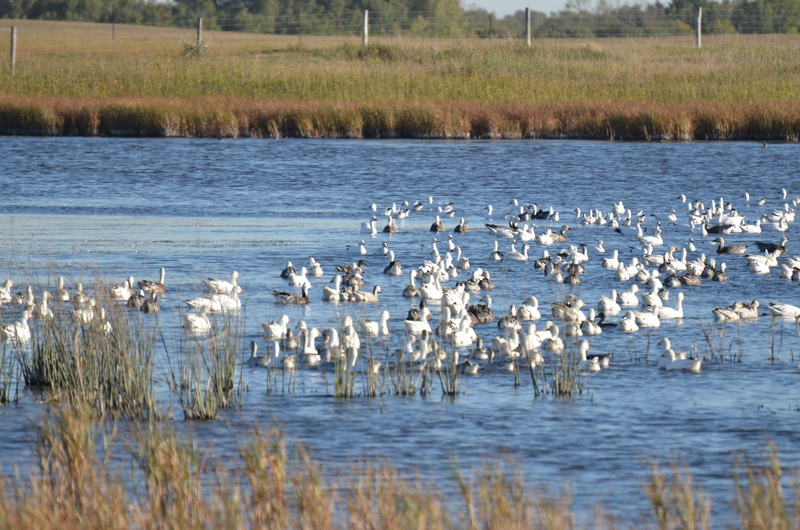 My only other addition was a small group of ROSS’S GEESE in a flock of Snow Geese about 2 hours from Regina. Saturday September 14 will be a day that I remember for the rest of my life! It was my first real pelagic trip. 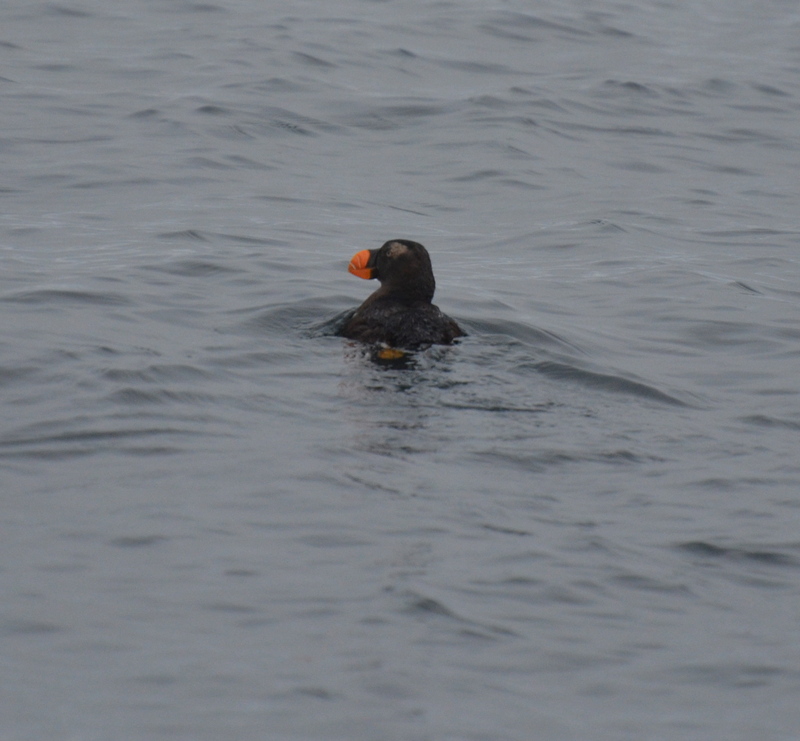 A small group of 11 of us went out looking for seabirds from Tofino on Vancouver Island. We put on our survival suits, signed our waivers, and headed out on a small boat. The weather was overcast but warm and pretty calm. 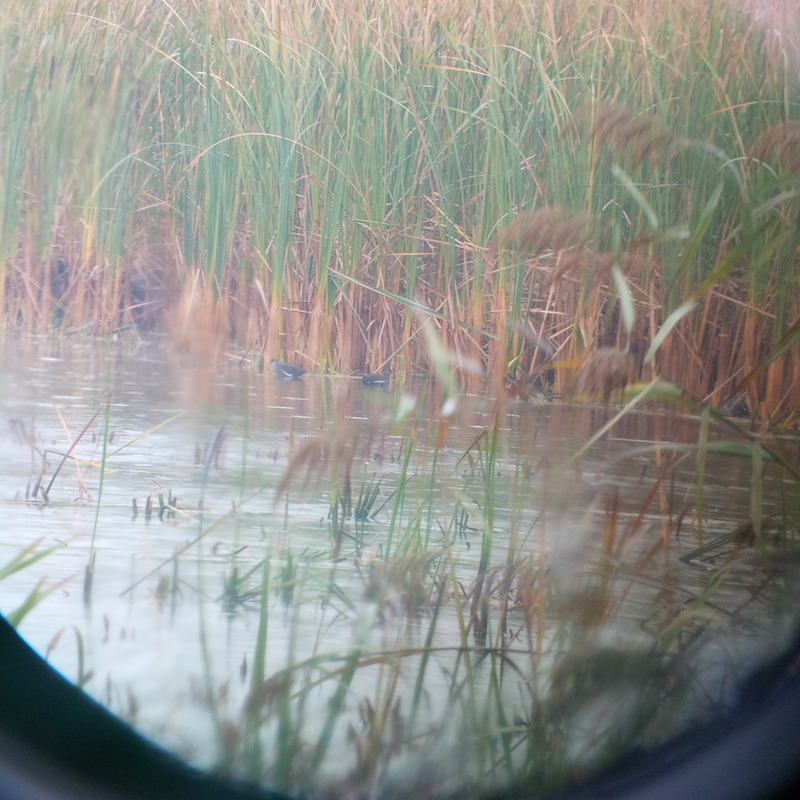 It was great viewing conditions for birding. Our trip consisted of briefly cruising along the inshore, stopping at a small rocky island to see if we could find some shorebirds & cormorants, then we hit the open ocean. 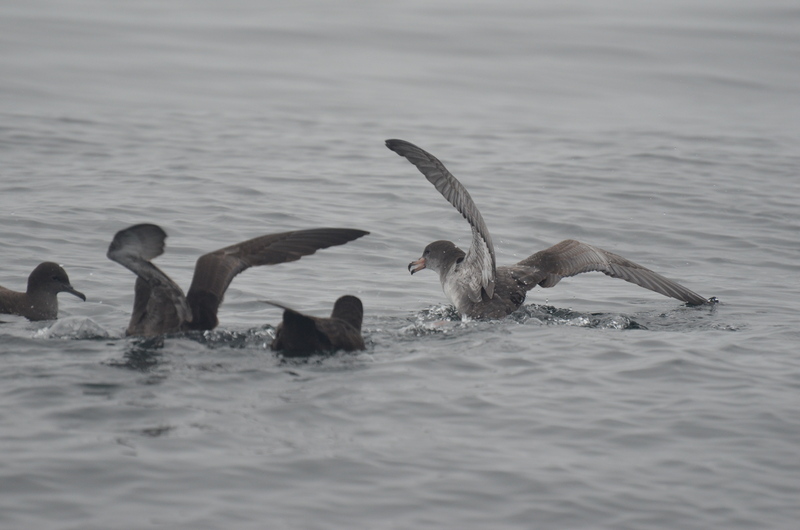 As we encountered various groups of seabirds we would slow down to scan them (often allowing incredibly close views), then we would meander among the flocks, and eventually worked our way out to a steep drop-off of the ocean floor. At our maximum we were 30+ miles offshore. 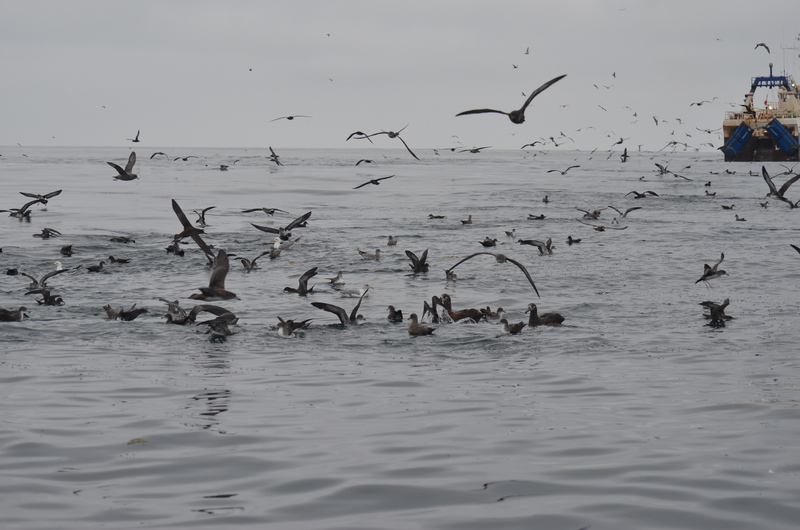 As we were heading back in we tracked down a fleet of fishing vessels, and that is where we had the most birds, with several thousand seabirds in a feeding frenzy. It was pretty overwhelming. 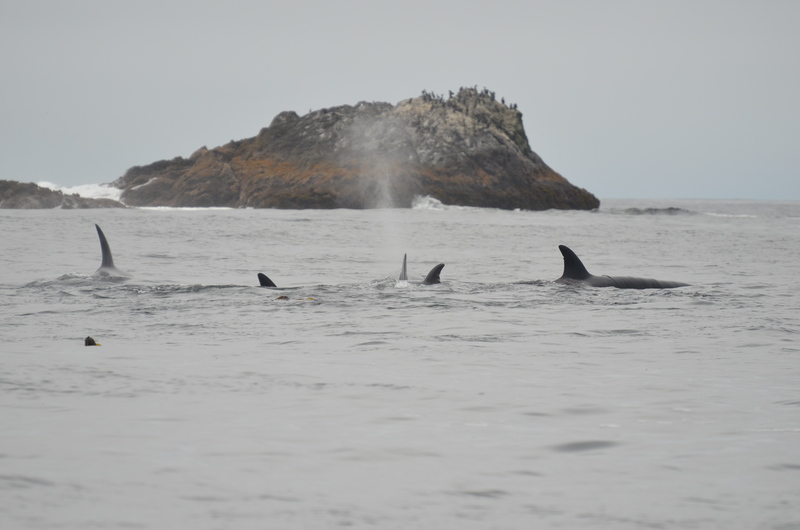 We continued to make our way back to shore, stopping to watch a small pod of Killer Whales near a group of California Sea Lions. I have listed below the order of new species I tallied on the boat trip. Birds with a single (*) indicate a new Canadian bird for me, and a double (**) indicates a lifer. 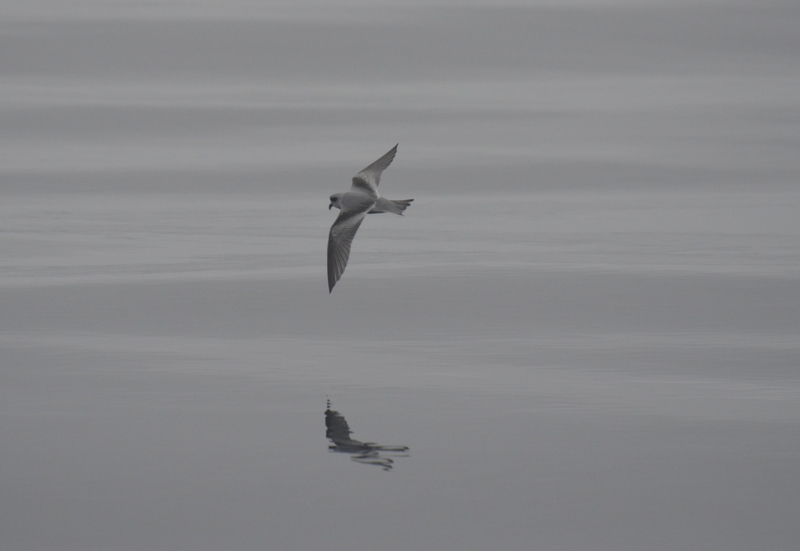 Another highlight was the 200+ adult Sabine’s Gulls that we observed. Simply amazing! Later in the afternoon a trip to one of the beaches in Pacific Rim National Park yielded a few **WESTERN GULLS. What a day. 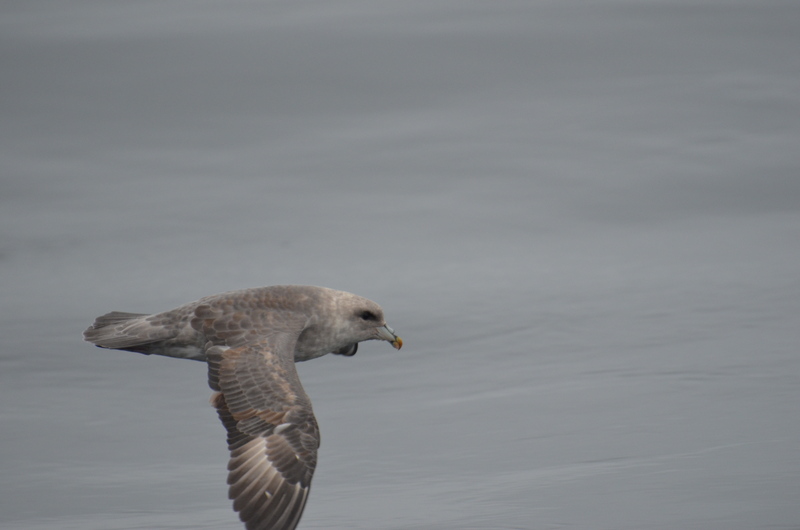 I am way too tired to do a proper update, so instead I will add a few pictures from todays epic pelagic trip out of Tofino, BC. 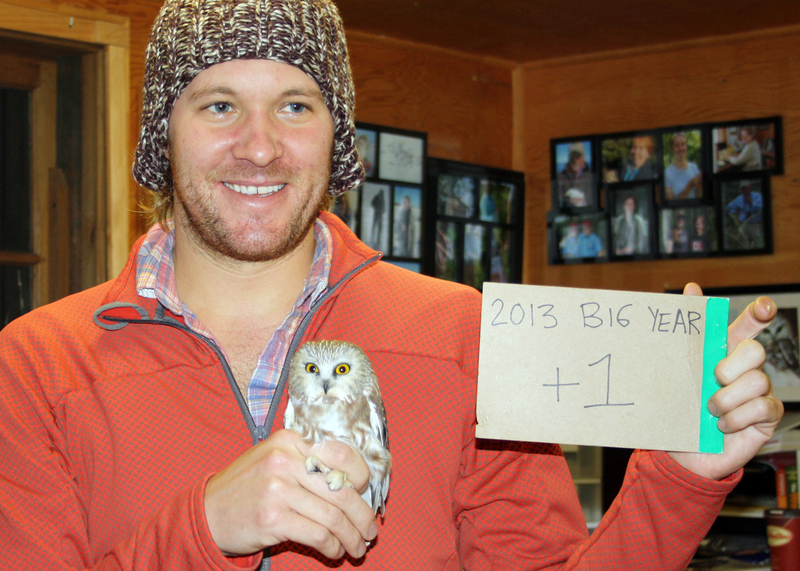 I added 17 new birds to my year today (bringing me to 385), including 9 lifers! 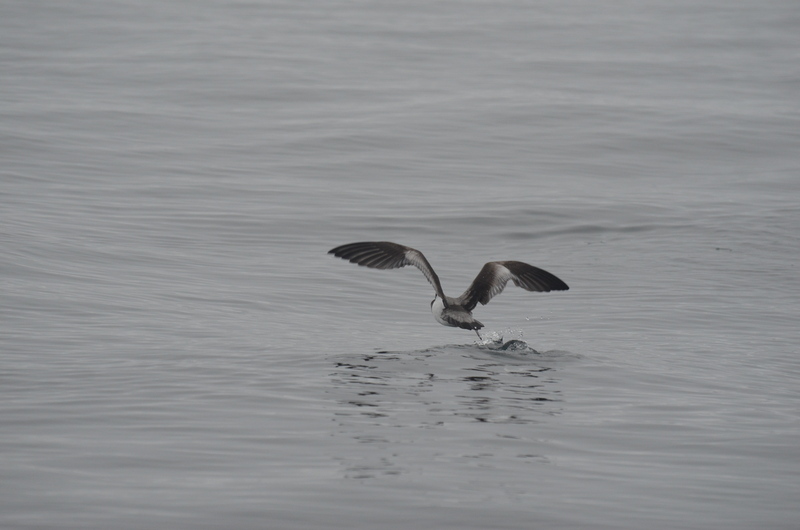 I will be on another pelagic tomorrow, so hopefully I can still add a few more. It’s been an exciting few days. After finishing my weeklong banding stint at Ruthven, I had 1 day to pack and get myself ready for my early fall road trip to the west coast (where I will be going on some pelagic birding trips!). My grand plans for a nice relaxing day of packing were foiled when I saw the weather forecast. Moderate NE winds…in early September. I had no choice but to head down to Van Wagner’s Beach in Hamilton to do some lake watching. At this time of year, with good winds, you have an excellent chance of spotting Jaegers, Sabine’s Gulls and other interesting southbound Arctic breeding species. 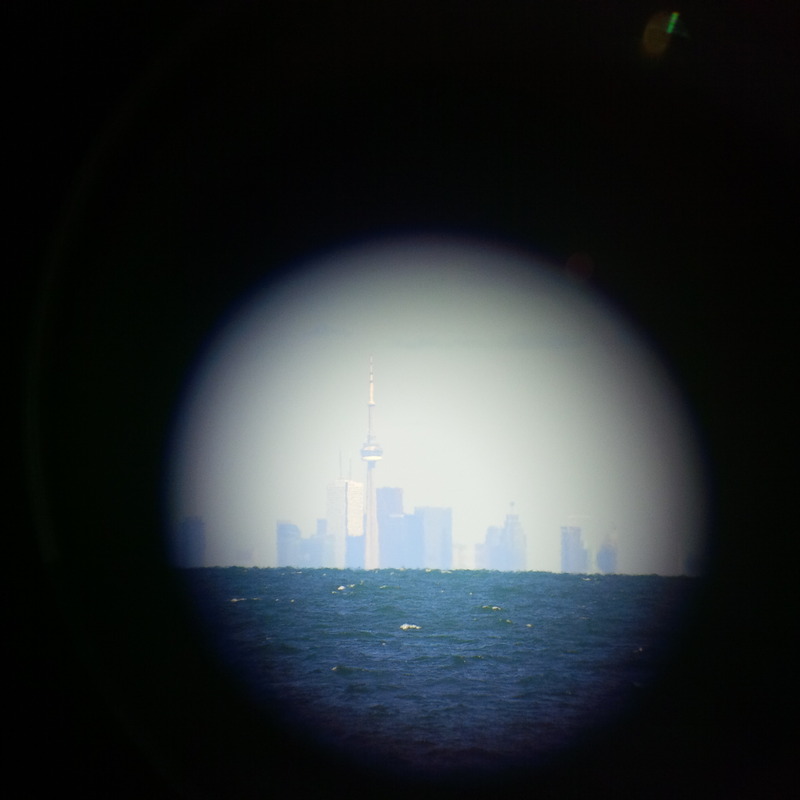 Photo: The Toronto skyline through my scope from Hamilton. Upon arriving we noticed that a sizeable portion of the southern Ontario birding community had the same idea. 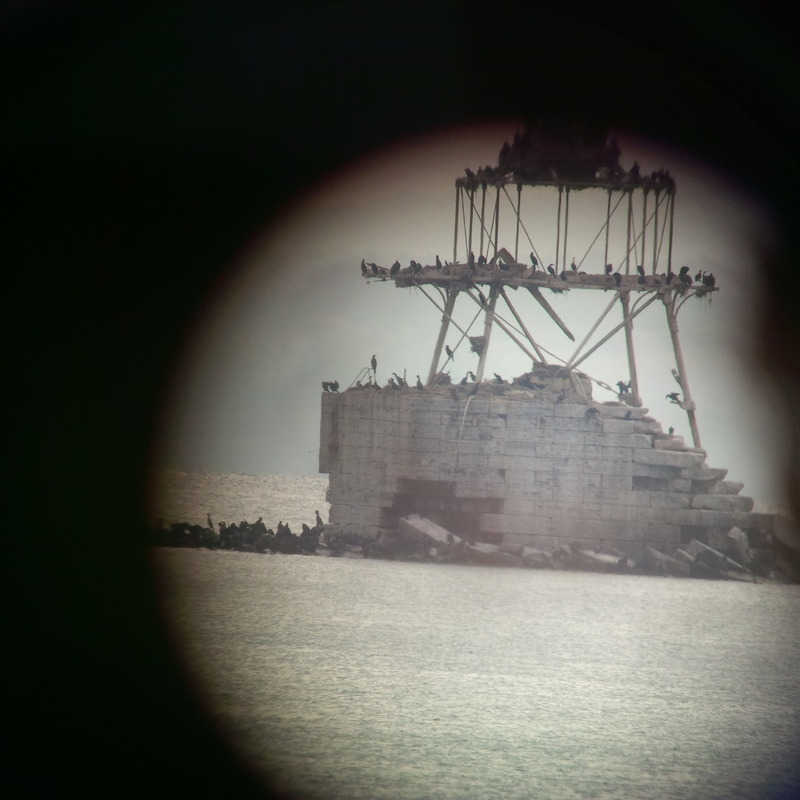 We spent a few hours with a few dozen other birders scanning the horizon. 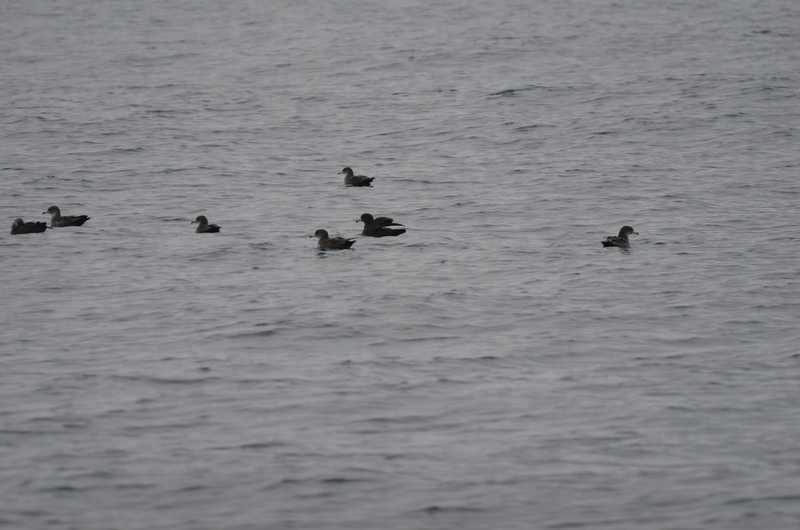 Our patience paid off, and after a few hours we had tallied multiple Jaeger sp., most likely Parasitic Jaegers, but someone also got a picture of a Pomarine, which we were not able to identify in time. Most of the Jaegers were little specs on the horizon, and even the ones that came in close I didn’t get great identifiable looks at, so for now I am stuck with Jaeger sp. for my year list. 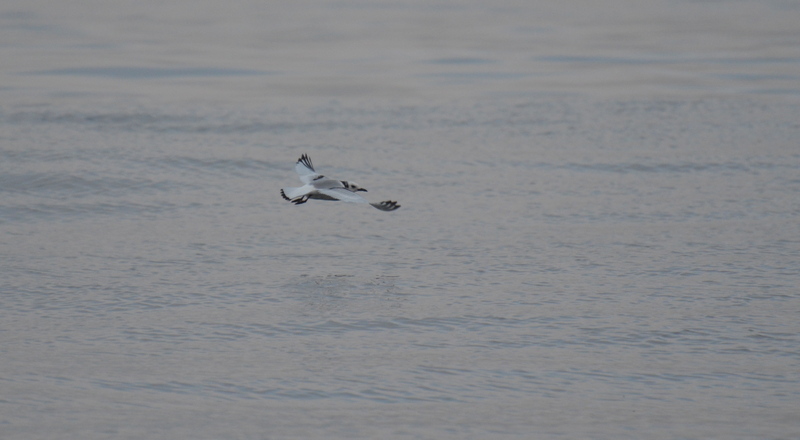 By far the highlight for me was multiple SABINE’S GULLS that were quite far out over the water. Despite this, their distinct plumage made them easy to identify. These were my first in several years (I had only seen them once previously on the Niagara River in November). These high arctic breeders were # 366 for my Big Year. While we were watching the lakeshore word came in that the Western Kingbird reported a few days earlier had been re-found up near the sod farms. There was a mass exodus of birders as we all headed out to see if we could find it. After about 45 minutes of searching we called it quits and headed home. About 15 minutes later we got a text message (thanks Brett!) that it had been re-found. So we turned around and were able to get some nice looks at it. While I had already seen several dozen in 4 other provinces this summer, it was a good one for my Ontario year list (I’ve only seen one previously in Ontario). It was a lifer for my brother, Adam, so he was happy to get that nemesis bird off his most wanted list. After such an exciting afternoon of birding it was time to head home and pack for the west. Time flew by, and before I knew it I was on the highway and off to pick up my friend who was to join me. We made it to Sault Ste. Marie the first night (grey, rainy, and miserable the whole drive), which was good, because we found out that the same storm we were passing through ended up washing out a portion of the TransCanada Highway! The next day was once again foggy, rainy and gloomy. After crossing into Manitoba, we were treated to a spectacular lightning display from some impressive storms to the north of us. We ended up rolling into Brandon, Manitoba after midnight. Tuesday we woke up to clear, warm and sunny skies. We made it to Calgary, after a nice drive. 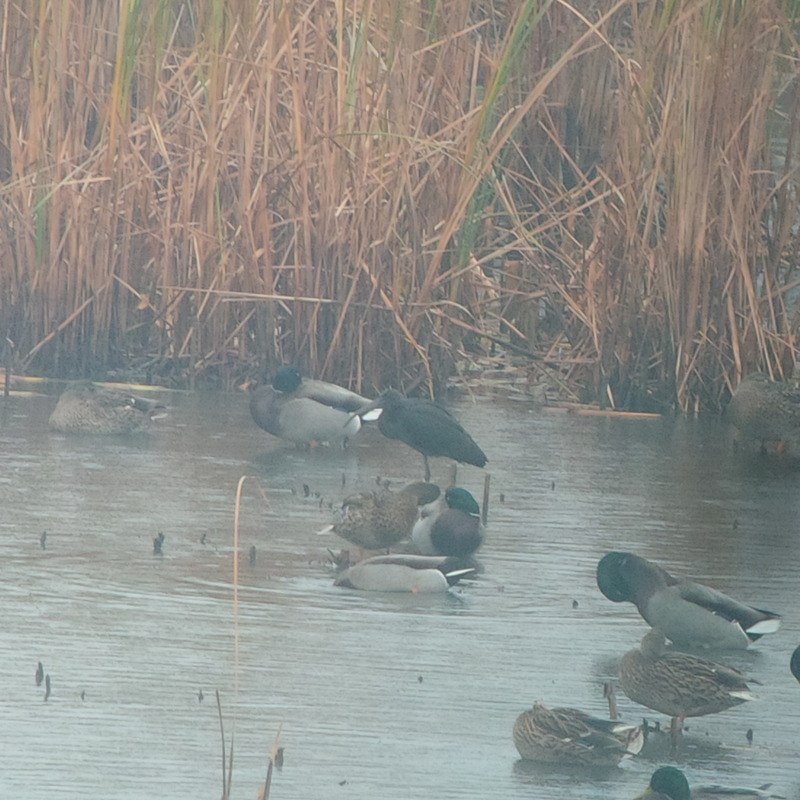 The highlight was seeing 3 GREATER WHITE-FRONTED GEESE (#367) in a small slough near the city. Wednesday we headed up into the Rocky Mountains. The weather was spectacular with clear skies and warm temperatures. 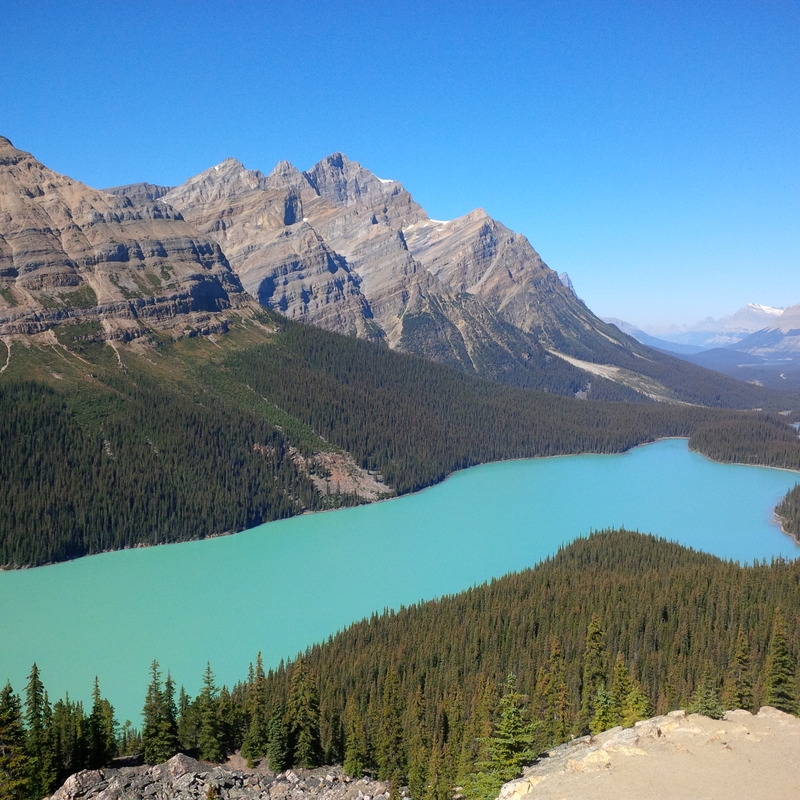 After a quick stop at Lake Louise (such a nice place!) we headed a little further down the highway and up a short portion of the BLANK highway. We made our way to one of the summits and hiked a few minutes to a lookout. And what a lookout. I will just add a picture of it, because words can’t do this vista justice! We also finally came across several CLARK’S NUTCRACKERS! These distinctive birds were # 368 for my Big Year! Our last birding stop of the day was Salmon Arm Pier in the hopes of seeing the few Clark’s Grebes that breed here with the much more numerous Western Grebes. Despite a lot of scanning, most were too far away to positively identify, so I will hopefully get another chance on my way back home. It’s been a lot of driving over the past few days, so I am really looking forward to getting to Vancouver Island tomorrow and get some epic pelagic birding done. Stay tuned, hopefully my next update will be a great one! 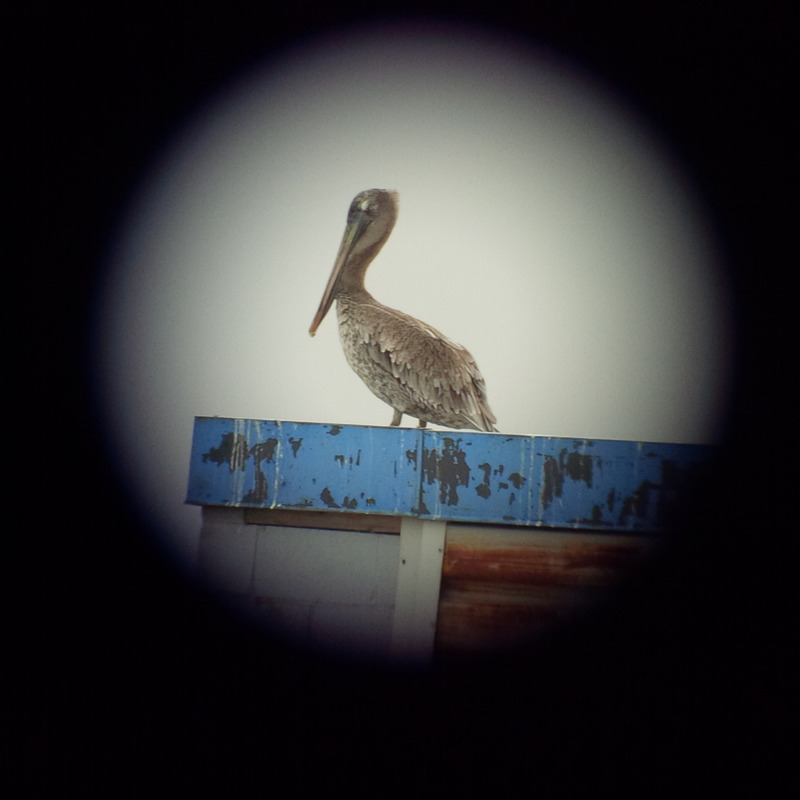 After several attempts this year, and 15+ years of trying, I finally tracked down one of my most wanted birds. My brother and I joined forces with some fellow birders, Jan and Ed, and made our way to the Hamilton sod fields in the hunt for plovers. Earlier in the day a Buff-breasted had been reported in with several American Golden Plovers. We scanned multiple fields, but were only able to scrounge up Killdeer, a few Horned Larks and a few American Golden Plovers. After we arrived at our final field we hopped out of the jeep and started scanning with the scopes. After a quick scan it happened…I saw a smaller brown shorebird…I was barely able to shriek it out, BUFF-BREASTED SANDPIPER! After a quick high-five we hopped back into the jeep and continued down the road for a closer look. I was able to get a few pictures with my BBerry up to my scope. It provided excellent looks for us all. What a lifer! And number 365 for my Big Year. 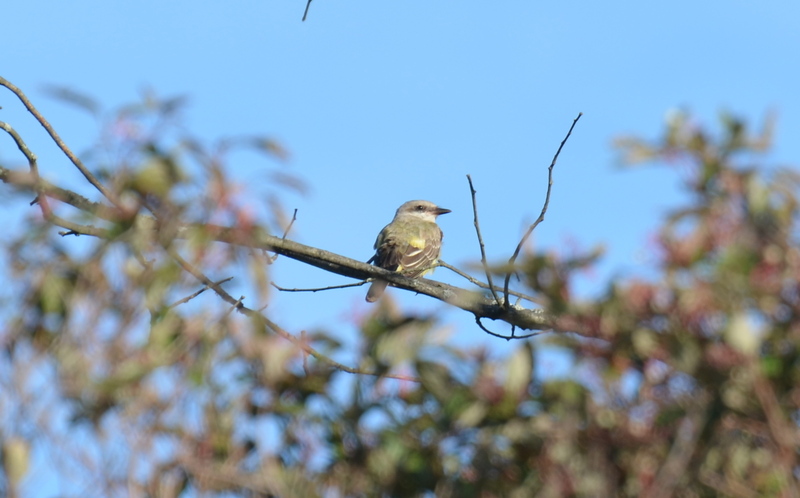 We dipped on the Western Kingbird that was reported earlier, but it may have gone to roost for the night. Photo: Killdeer, American Golden Plover and a BUFF-BREASTED SANDPIPER! The past weeks…and 3 new species! It’s been a long time since my last update, so here is a quick summary. After returning from the Maritimes, I spent a week out at one of the remote banding stations on Long Point (Lake Erie). Our main goal was to get the banding station ready for the upcoming fall banding season. We accomplished this, but due to the hot weather the banding was pretty quiet. Bird activity picked up on the morning that we had to leave, of course. Despite the low banding numbers we did encounter 90+ species over the course of the week, including a few OLIVE-SIDED FLYCATCHERS. # 362! Finally! 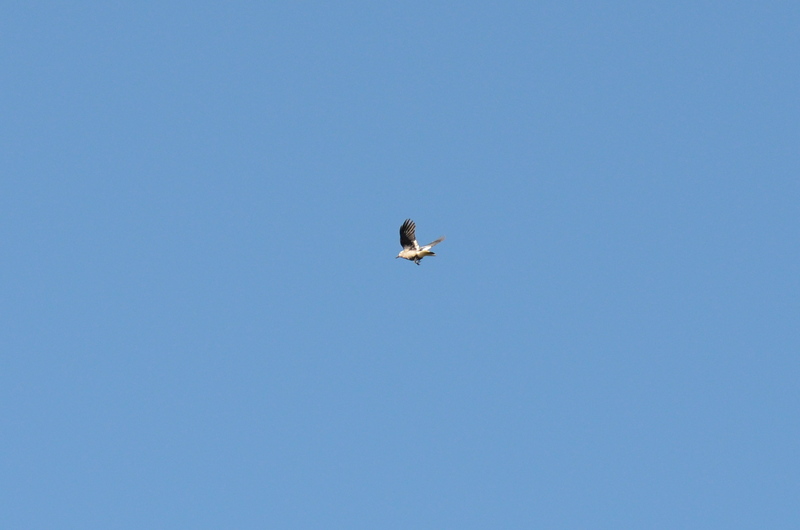 At one point there were 2 individuals flycatching from some dead snags. Other birding highlights included 10 000 Purple Martins, and 90 000 Band Swallows that used the marsh to roost at night. It was spectacular. 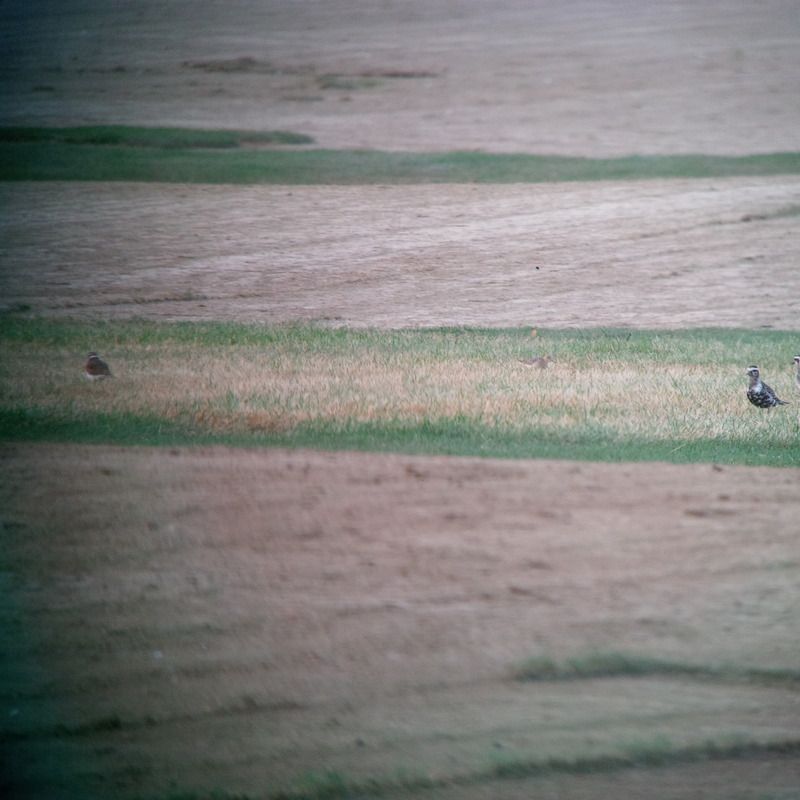 On August 27 I finally came across some AMERICAN GOLDEN PLOVERS on the sod farms near Hamilton, Ontario. # 363! I missed a Buff-breasted Sandpiper by a few minutes…of course. Possibly my biggest nemesis. In other news, I have been temporarily running the banding operations at the Ruthven Park banding station (with the help of many fantastic volunteers) for the first week of September. I was rewarded with multiple YELLOW-BELLIED FLYCATCHERS over the past few days…#364! I will be heading out to Vancouver Island next week for some upcoming pelagic adventures. 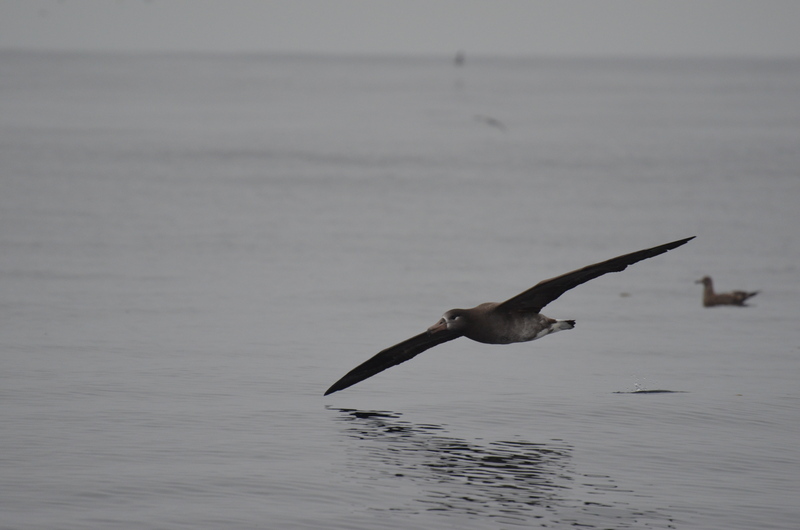 I hope to add a few more species of birds on the drive out, and several out on the open ocean. If all goes well I hope to break the 400 species mark in BC. I will post some pictures from the past few weeks when I get the chance!